Yay! It's hunting time at SwayLand! 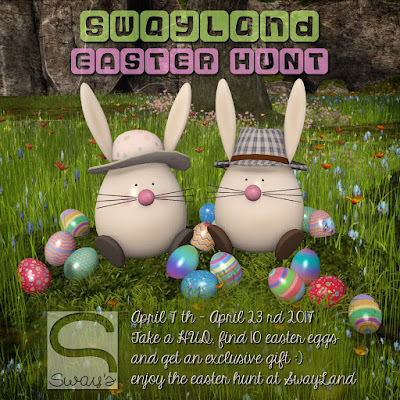 Just hop over to SwayLand, touch the sign by the big Easter Egg present (near the landing point). 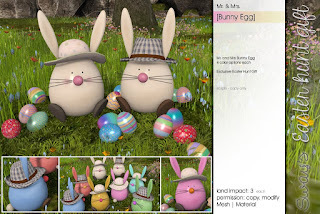 It will give you a HUD and an information Notecard. Wear the HUD and start hunting for Easter Eggs. 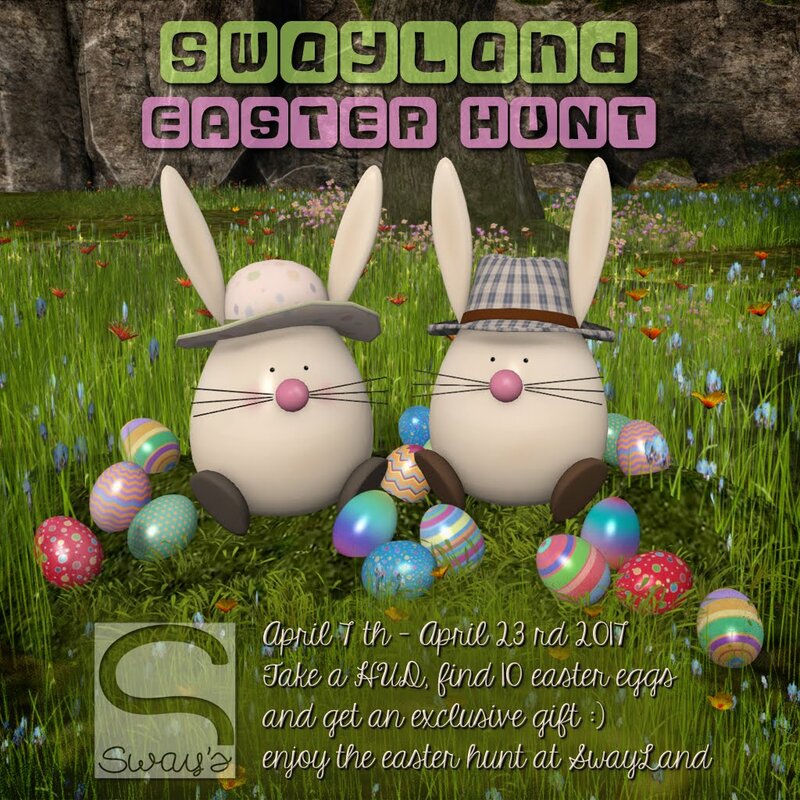 Once you found them all and all the white eggs on your HUD are colorful, touch the big Easter Egg present and get your exclusive SwayLand Easter gift.